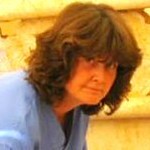 British doctor Rachael Craven, 42, usually works as anesthetist for the National Health Service in Bristol. But she had spent weeks in a war zone, treating casualties in a secret hospital that is being run by humanitarian aid agency Medicins Sans Frontieres inside northern Syria. “We slept on the roof. Accommodation is a premium in northern Syria because of the influx from Aleppo. Any house has three or four families staying with them already,” said Dr Craven. “We were at risk of shelling but so far it is a relatively safe area. I think a bigger (sic) is when the rain starts!